The Ancient Festival of Following the Wren | Where's my backpack? The day after Christmas Day goes by many different names. In a number of European countries it is known simply as the second day of Christmas – you know, the day your true love gives you two turtle doves and a partridge in a pear tree. Commonwealth countries generally refer to it as Boxing Day and there are plenty of theories about the origin of the name. There was an old English tradition where servants of the wealthy, having waited upon their masters on Christmas Day, were given the following day off to visit their families. As a gesture of goodwill, they were sent off home with a box of leftover food and if they were lucky, a gift or bonus. There’s also a belief that the name refers to Alms Boxes located in places of worship to collect donations for the needy. The donations were distributed to the poor on December 26th each year. It is often referred to as St. Stephen’s Day because it coincides with the religious feast of St. Stephen; the first Christian martyr who was accused of blasphemy and stoned to death. But there is another name for this day which is not so well known. In Ireland, while most people refer to it as St. Stephen’s Day, those in the know call it Wren Day, or Lá an Dreoilín in Irish. The wren, known as the king of birds, has long been a symbol of wisdom and divinity. Ancient druids studied their flight patterns and used them to predict future events. In fact, the Irish name for wren, dreoilín, is believed to be derived from two words, draoi ean, meaning Druid bird. But this poor little bird has been burdened with the blame for some tragic events. One story tells of St. Stephen, hiding from his persecutors in a bush, being betrayed by a chattering wren. Another legend has the wren betraying Irish soldiers during the Viking invasions. As the Irish were sneaking towards a camp of sleeping Norsemen, a wren flapped its wings against one of their shields and another pecked breadcrumbs off a drum, waking the invaders who then defeated the Irish. Now I’m willing to bet that the dear little wren was stitched up and never betrayed anyone. Both stories may well have been cooked up by early Christians hoping to weaken the power of the Druids, and their beloved druid bird suffered collateral damage in the process. Truth or no, a tradition known as Hunting the Wren (pronounced Wran) began; where Wren Boys would follow and kill a wren on St. Stephen’s Day, parading it through the streets, going door to door looking for a little food or a penny or two, dancing and singing..
Come out your honour and give us a treat. Thankfully, the days of “wren-icide” are over. Nowadays the wren is merely symbolic and the druid bird once again reigns supreme as the king of birds. 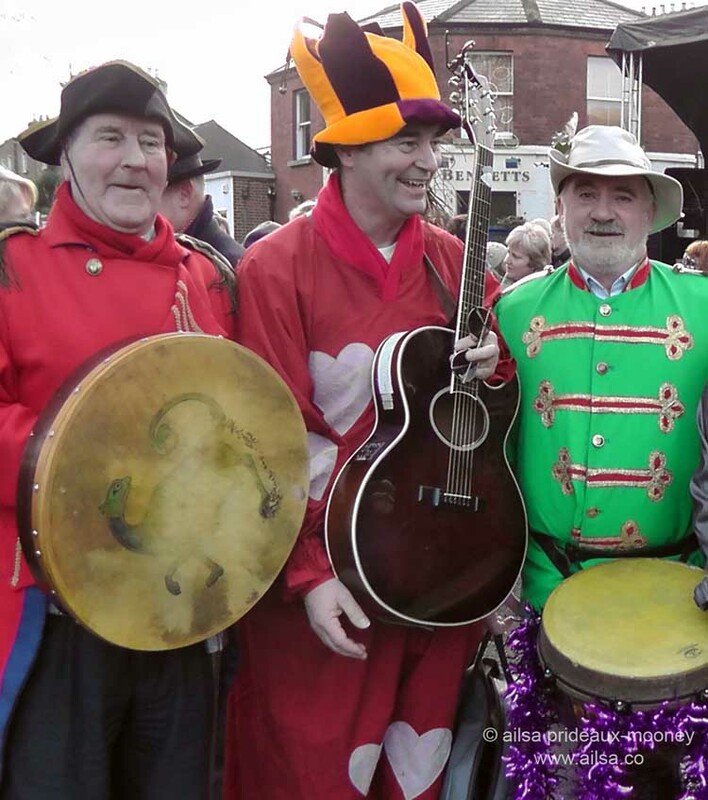 The most well-known Wren Day takes place in Dingle, but I discovered to my delight another festival that’s been gathering momentum for quite some time in the charming village of Sandymount, just south of Dublin city. I just couldn’t resist popping along this morning to check out the festivities. 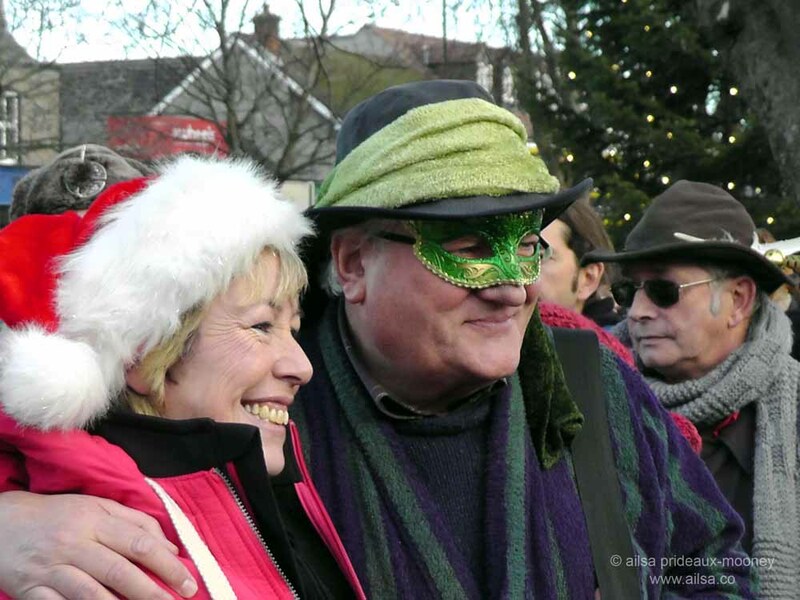 The streets surrounding the village green were closed to traffic and thronging with merry-makers. There was poetry, music, dancing and spectacle with the crowning of the ‘Father of the Wran’. Street vendors plated up hot food and surrounding pubs were doing a roaring trade in mulled wine, guaranteed to chase away the winter chill. The festival-goers were decked out in costumes ranging from Santa hats to intricate concoctions worthy of the Carnival of Venice. 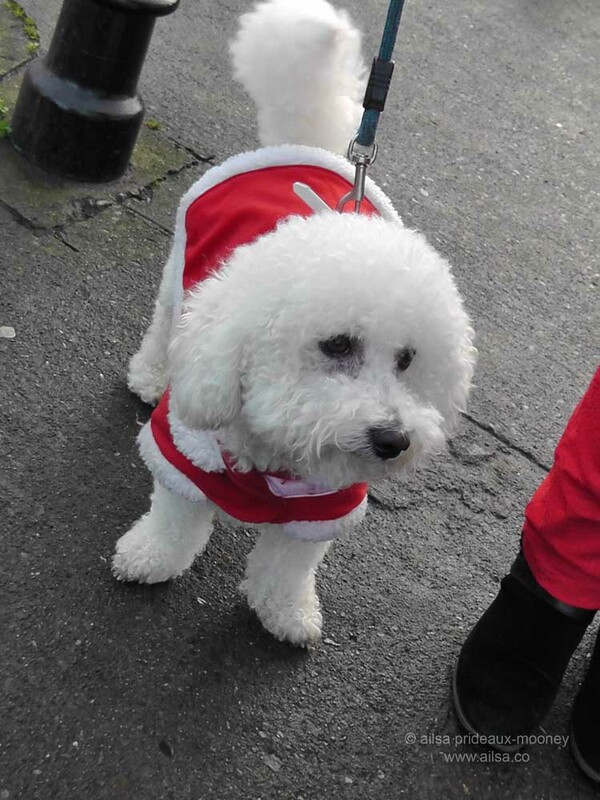 Even four-legged revellers got in on the action. 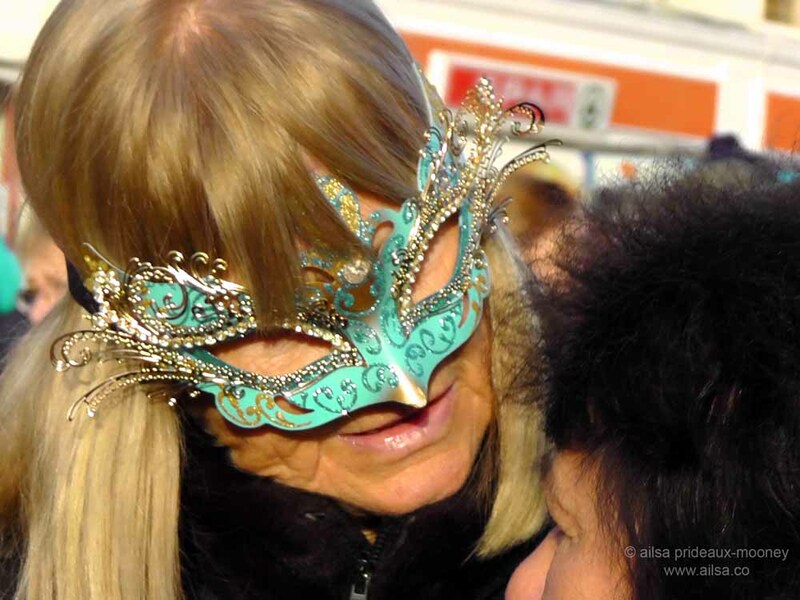 I was dazzled by the gorgeous array of masks on display and felt seriously under-dressed without a mask of my own. 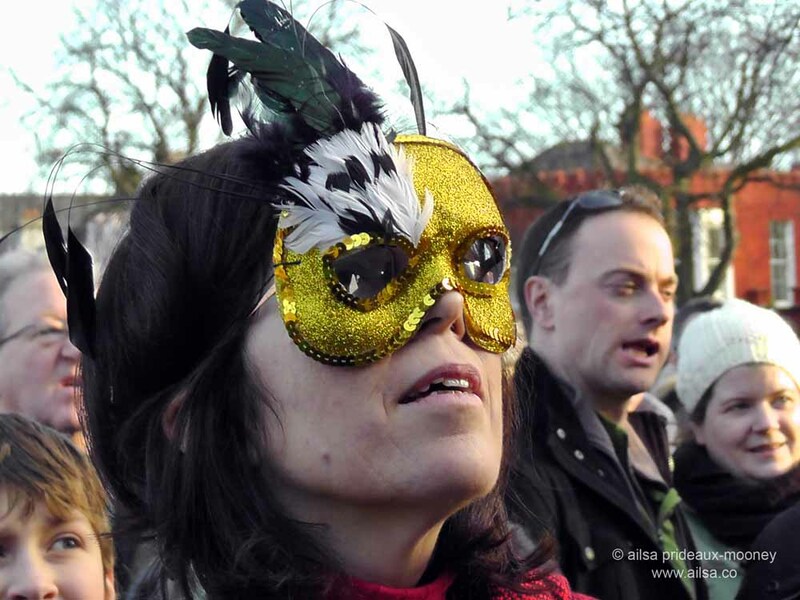 Yes, I admit it, I had mask-envy. 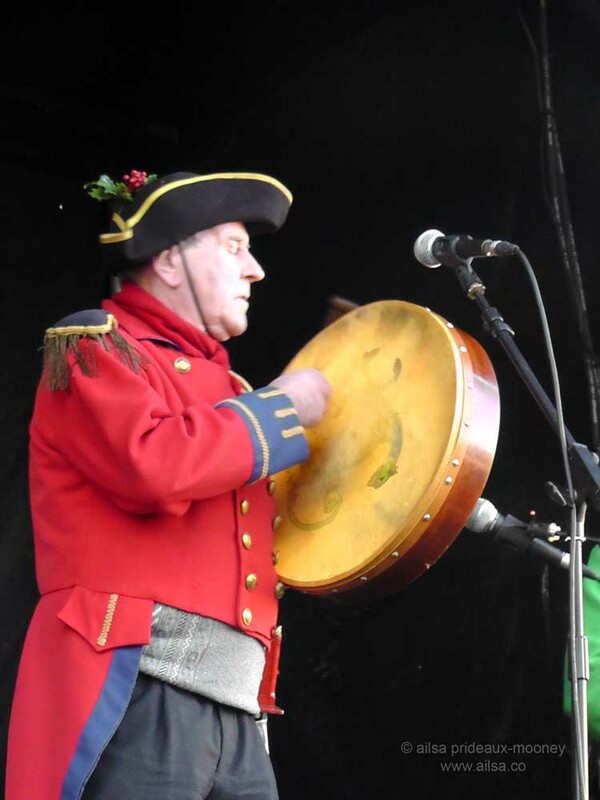 Next year the Sandymount festival will be celebrating its 30th year. 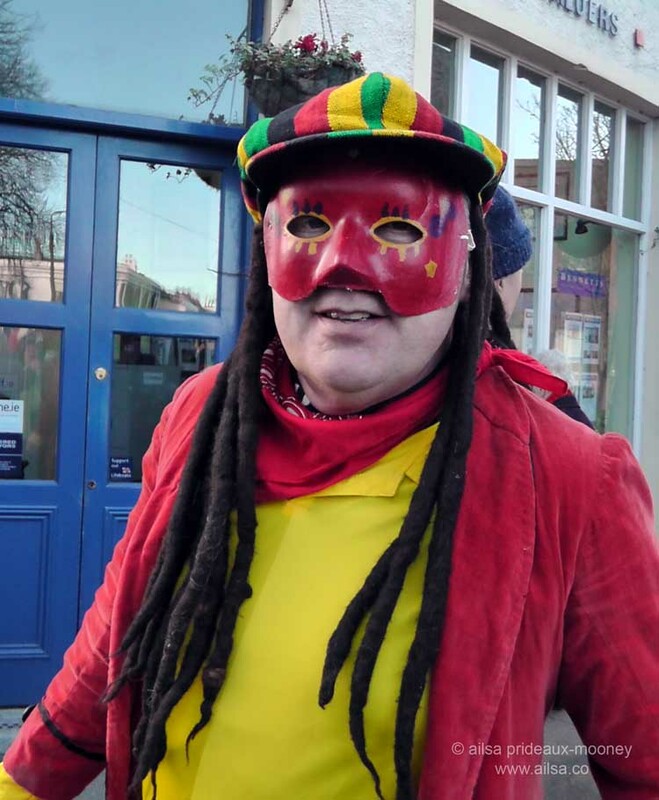 If you are in the neighbourhood next Wren Day make sure you go along, and be prepared to dance. I will be back for sure; I’m already looking for a mask to wear. Happy Wren Day! 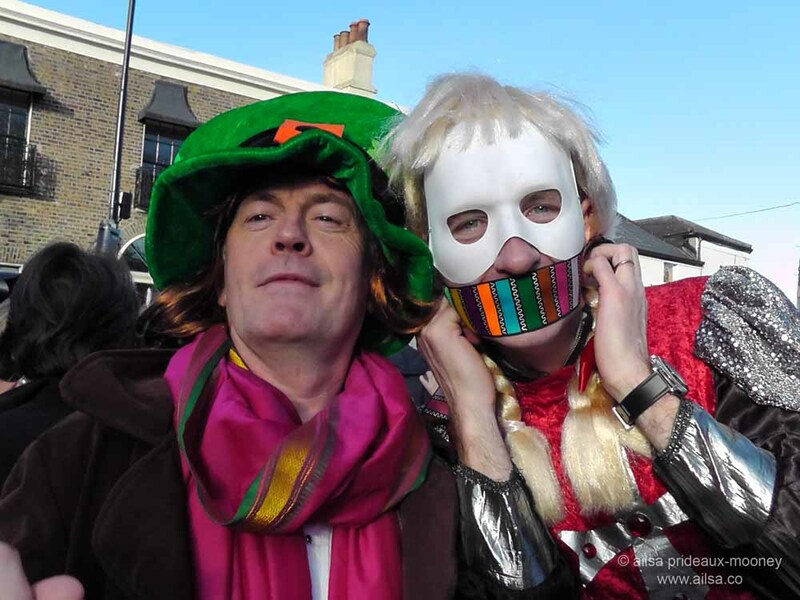 This entry was posted in Ireland, Photography, Travel, Travel tips and tagged history, holidays, humor, inspiration, photography, travel, wren day, writing. Bookmark the permalink. marvellous post thanks Ailsa … we spent Christmas Day here in Australia with an Irish relative who comes form Dingle … he was talking about Wren Day and how his parents could not come over for Christmas as Wren Day was too important to miss! Wonderful post and stories. I had never heard of this day before! but the story of how the wren became king of all birds goes the same here in Sweden as well – but here it is not the wren who is king, it is the little Goldcrest! Oh how perfect, Leya, he comes ready-made with a little gold crown. 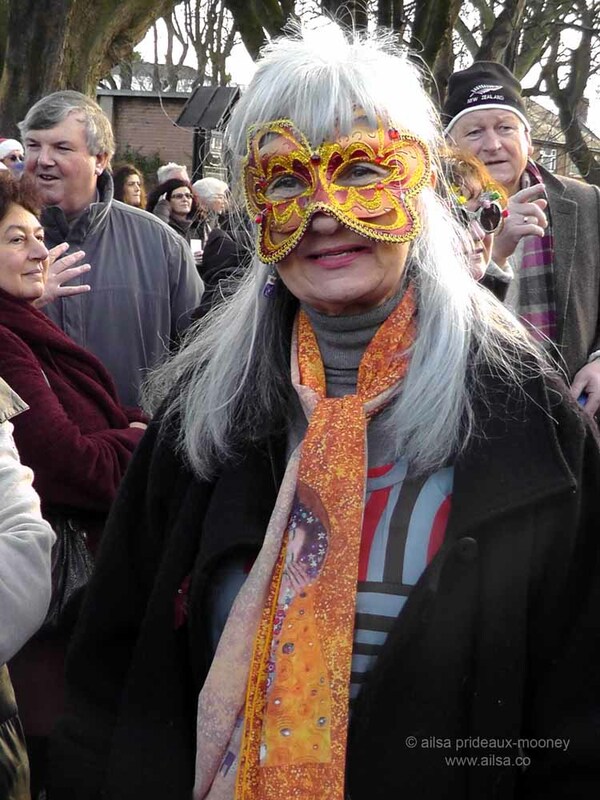 Thanks so mich for sharing the history of Wren Day and sharing the pics of happy people wearing masks! We’ve been to Dingle. This just makes me want to go back! We were at a similar event here in Cork where the wren boys were all dressed in straw costumes, and of course, the dancing was obligatory! Oh cool, I’ve seen photos of those Straw Boys, Joan, and heard tales that they originally dressed in straw so they could sneak kisses from the girls without fear of discovery. The church was outraged, apparently! Hee hee. wow, I never heard that before, I suppose I will have to look more closely at them next year! I have spent many a happy hour listening to the Clancy Brothers rendition of The Wren Song and am delighted to learn more about the tradition. A marvelous post. Thank you for sharing your joyful celebration with us. Fabulous post. Happy Wren Day to you, too. Thanks. What good fun, dance, song in community this is! This brought smiles to my face. Here’s to the Irish people (some of my genetic ancestors)! Thanks for the reblog, and Happy New Year to you! Droleen – Droleen – where is your nest? 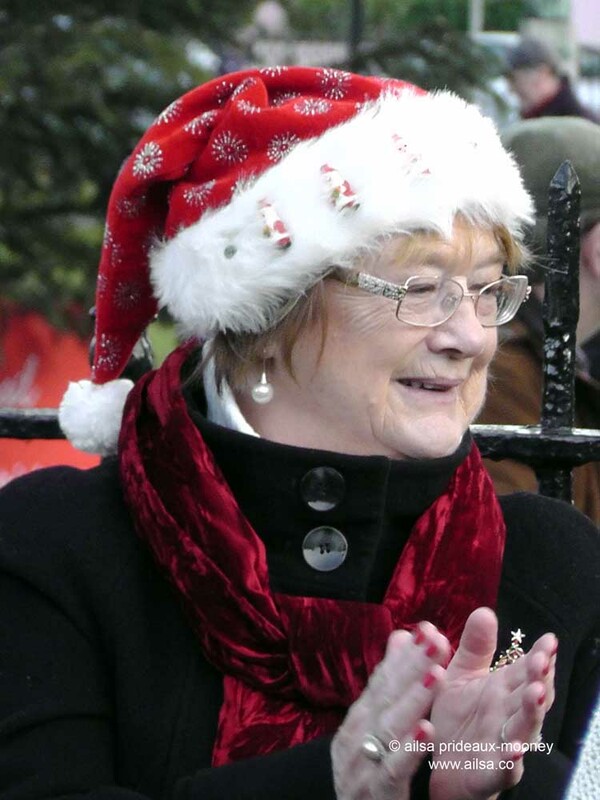 Hope you had a wonderful Christmas, Ailsa! And I wish you a very Happy New Year. All the best in 2014! What an interesting way to celebrate the second day of Christmas! It reminds me a lot of carnival or Fasching which will be celebrated in Germany and other parts of Europe in about 6 weeks or so. I guess winter time is so dreary that from ancient times, people had to bring in some color and light to make it through the worst of winter! Happy New Year to you! So little a bird being celebrated in such a big way. Thanks for telling this story and teaching me something new!